The #1 web design and SEO firm in Austin. 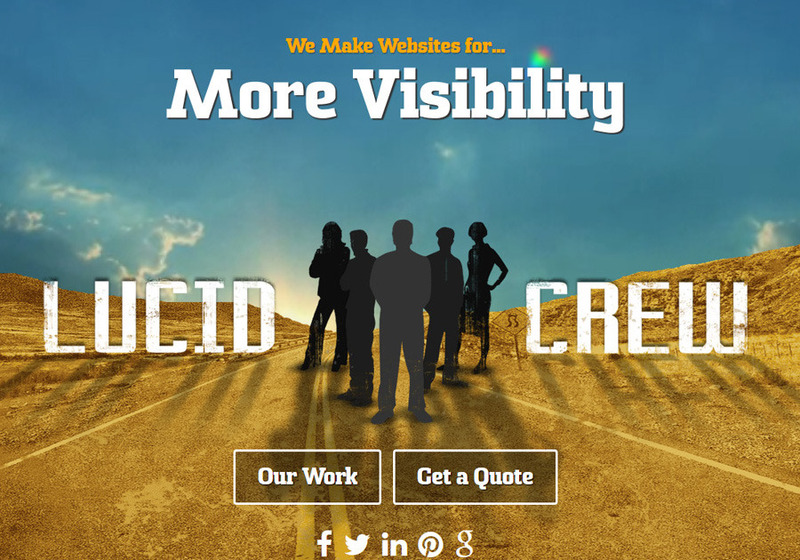 Lucid Crew creates kick awesome ranking websites for businesses of all sizes around the world. Lucid Crew is a full-service Austin web design and development business. We've been in operation since 1999 - long enough to see tons of other web design companies fall and rise. Why have we continued to boom? Perhaps it is natural charisma, our good looks, and great dental hygiene. Or maybe it's any one. At Lucid Crew, we do not just design your website and then let you go. We maintain a positive business relationship, helping your site to grow and change with your company. When you hire us, you don't merely get a one-time service provider - you get a partner committed to your success. A web design firm that keeps its promises is tougher to come by than you'd think. At Lucid Crew, we take pride in doing just what we say we'll do. We don't miss deadlines; we don't go over-budget; and we do not deliver less than we promise. If we say we'll do something, we will - it's not that complex. We work with customers of all sizes, from one-man start-ups to corporations with hundreds of employees. We'll give an estimate based on the budget you've got, and work to produce a design that does what you need - within your budget. Get in touch anyhow if you believe you can not afford us. You could just be happily surprised.